forgotten or swept under the carpet; a showcase of treasured information and documentation. most beloved airlines and how this association helped put Sedona Arizona on the map! 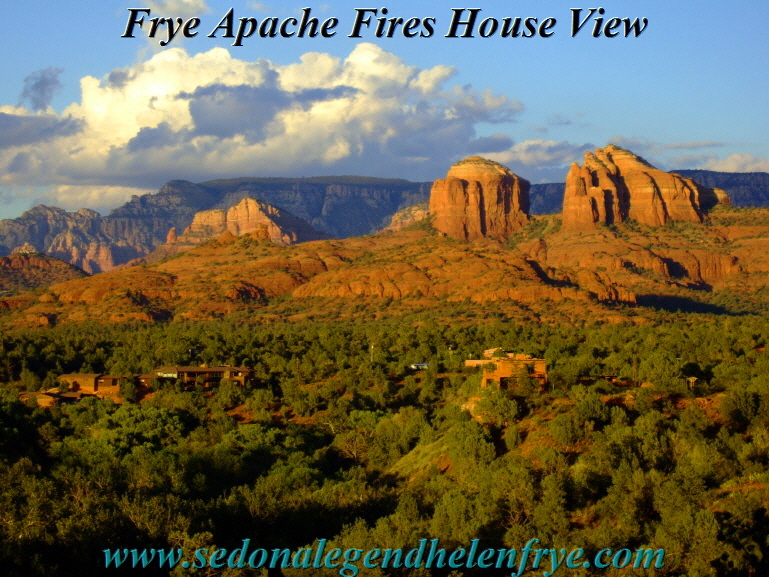 the Frye 'Smoke Trail Ranch' and the 'TWA Ranch at Sedona'. most pristine, beautiful, and priceless real estate parcels of the Southwestern United States! astounded by the rest of the story! With a passion for flight Jack created the first transcontinental air service for our vast country. envisioned the first pressurized modern airliner, designed to fly above inclement weather! as Aero Corporation and Standard Air Lines, with Jack Frye as president of both. now listed alongside his friends and peers at this world-famous 'Hall of Fame'. career with TWA consumed his life. His beloved Sedona only enjoyed in stolen moments. 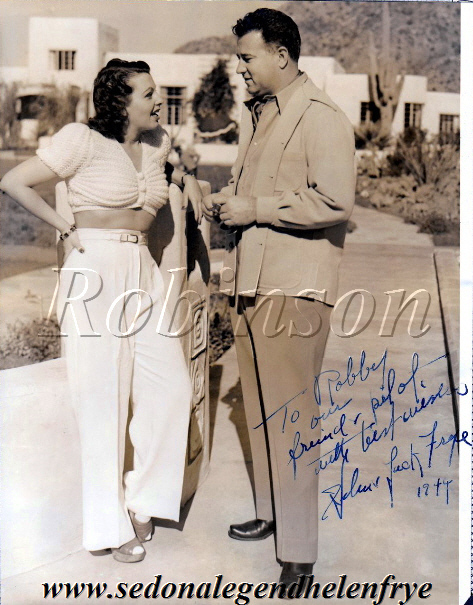 accordingly by Jack Frye and Howard Hughes. artist and gifted writer. Helen endeavored to find support for other early Sedona artists as well. 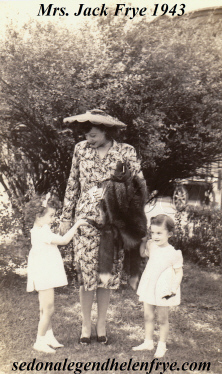 influenced a young Mrs. Helen Vanderbilt toward a life long association with the fine arts. Center 'Barn'. The Sedona Artist's Studios is yet another association of these efforts. and other founding members in their own homes at their own expense. telephone connection was soon smoking with Jack's frequent calls to TWA and Howard Hughes. 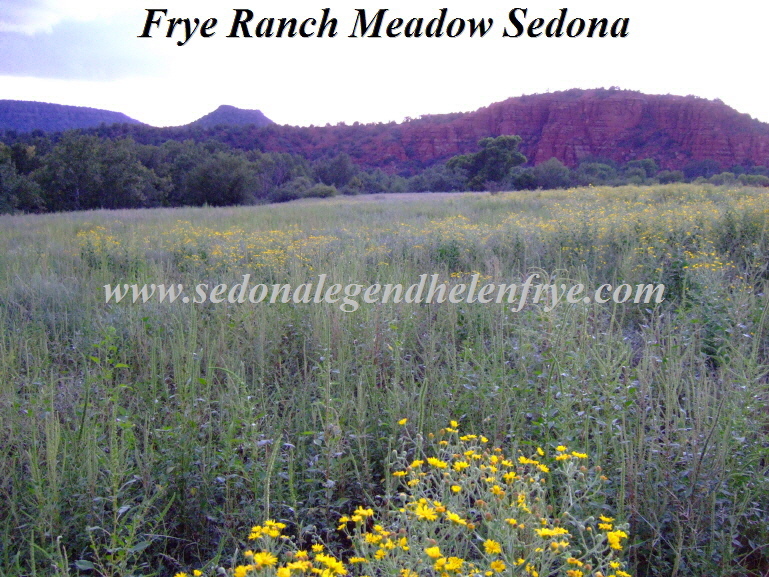 Oak Creek the development was a Sedona real estate success of 1955! landed their private TWA Lockheed Electra Jr. and Lodestar 18 airliners. over the spires of Sedona a silver airship climbed. 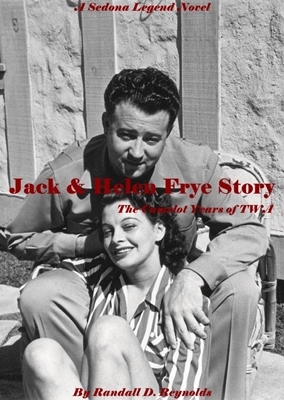 Jack and Helen Frye had found their little town. they both vowed to return as soon as they can. staking their claim to this most beautiful land. Apache Fires which took years to build. Smoke Trail Ranch they soon tamed. in the end became Sedona's First Celebrity Stars! his TWA career (about 1946). tail number NC18137. 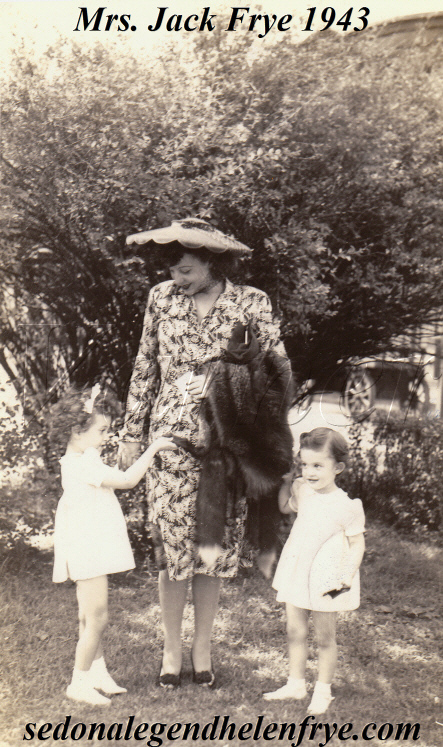 Photo about 1942 or 1943. 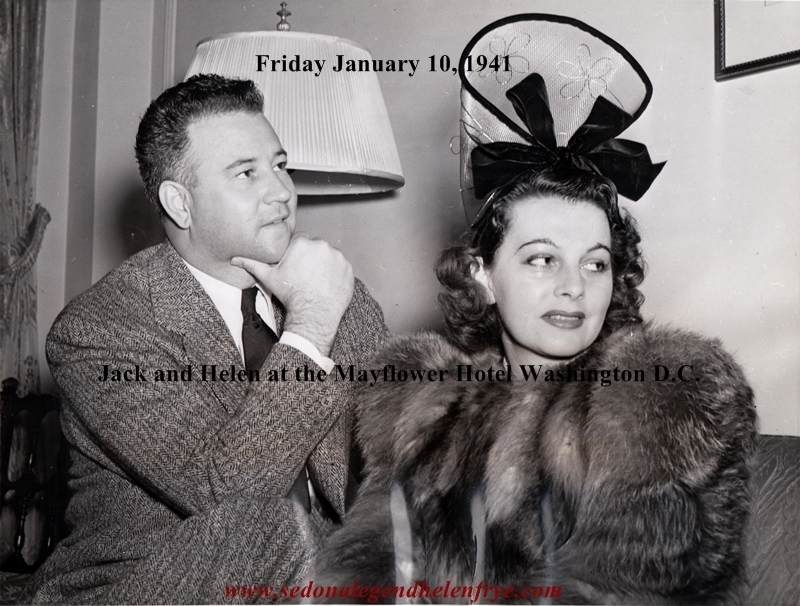 The World of Jack and Helen Frye! 'Camelot Years of TWA' the beloved airline truly soared! TWA employees and everyday TWA fans! Kansas City airport location). I applaud this monumental effort! it (TWA) Trans World Airlines. here. This is the original Frye Overview, the One and Only Comprehensive Frye Story! 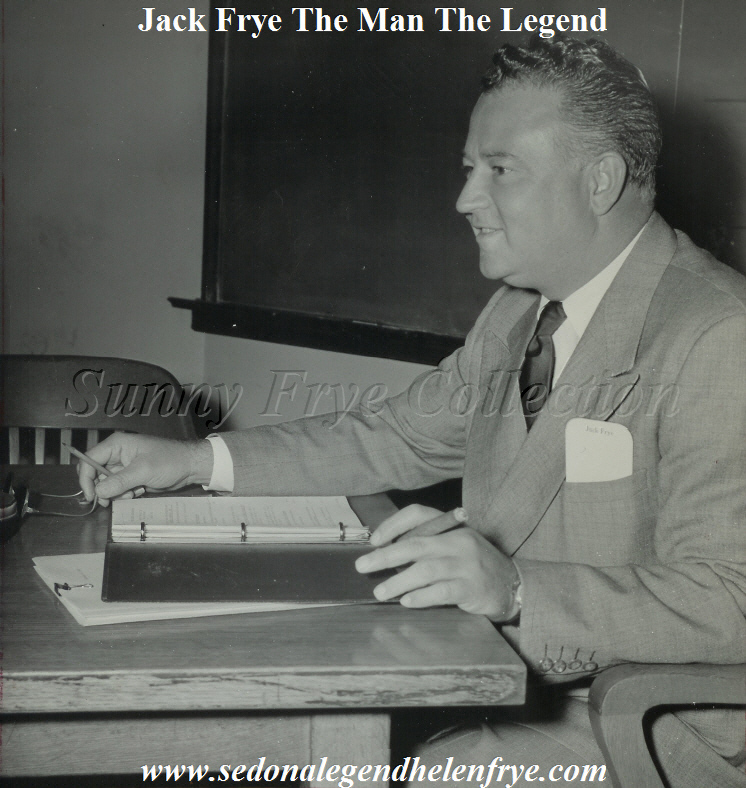 The Gold Standard of Frye History- Unique and Treasured! valuable and pristine creek-side property known as "Smoke Trail Ranch" named by the Fryes. demolished) at the Ridge (renowned golf course) in the Village of Oak Creek (Sedona). from the following book vendors! For further information please see Page 2015! from Book Venues Across The Worldwide Web!